Here is a selection of my year in music photography, leading off with an image from the Chicago Children's Choir that sums up 2017 in general. It's a pretty awesome privilege to be able to do this for a living. All photos © copyright 2017 by Elliot Mandel. All rights reserved. Chicago Children's Choir raising voices at its 61st Annual Red Jacket Optional Gala. 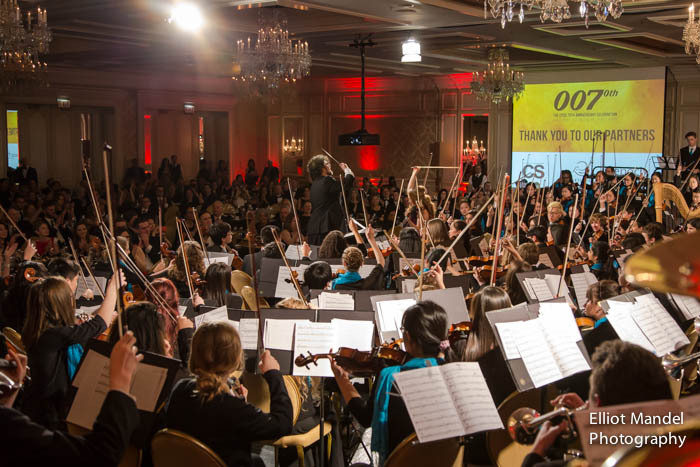 The triumphant Chicago Youth Symphony Orchestra performs at its 70th Anniversary Gala. 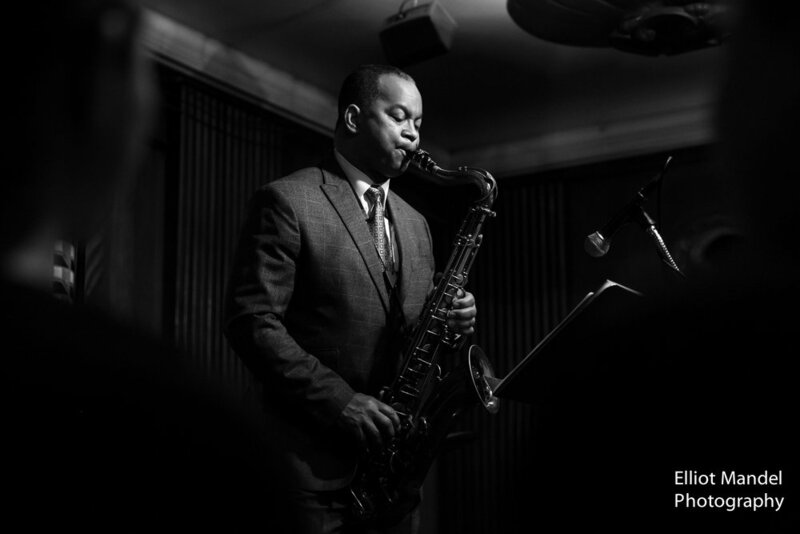 Victor Goines at the Green Mill. Selected as "Best Photo in a Club" during the Logan Center for the Arts jazz photography exhibit. Birds-eye-view of Bella Voce at the Museum of Contemporary Art. Benny Golson plays his classics at Jazz Showcase. 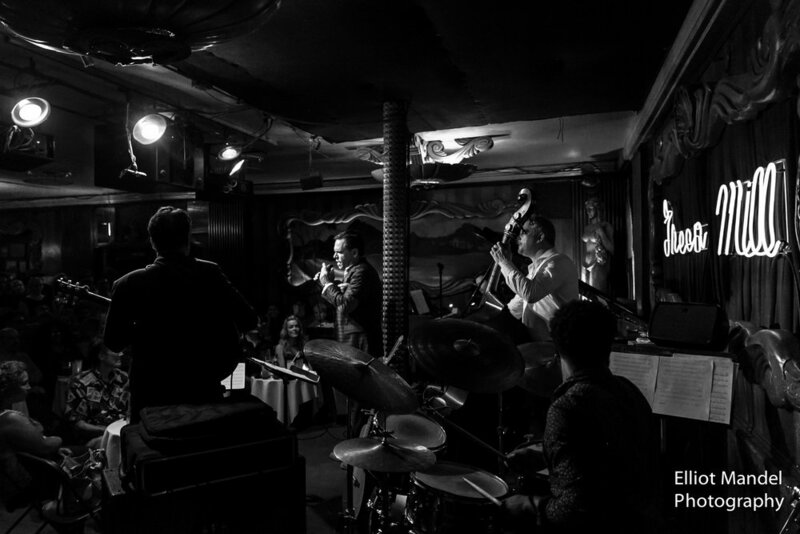 Kurt Elling lights up the Green Mill. Myra Huang, Shannon McGinnis, Sarah Shafer, Douglas Williams, and Nicholas Phan at the Collaborative Works Festival. Susanna Phillips and Myra Huang give a glowing recital during the Collaborative Works Festival. Jorge Federico Osorio plays Brahms for the Cedille Records gala. My on-stage view of Jane Glover conducting Music of the Baroque. The Chicago Philharmonic opens its season with Carmina Burana. Third Coast Percussion premiering a work by Augusta Read Thomas with the Chicago Philharmonic. Nicholas Kraemer conducts Bach with Music of the Baroque. 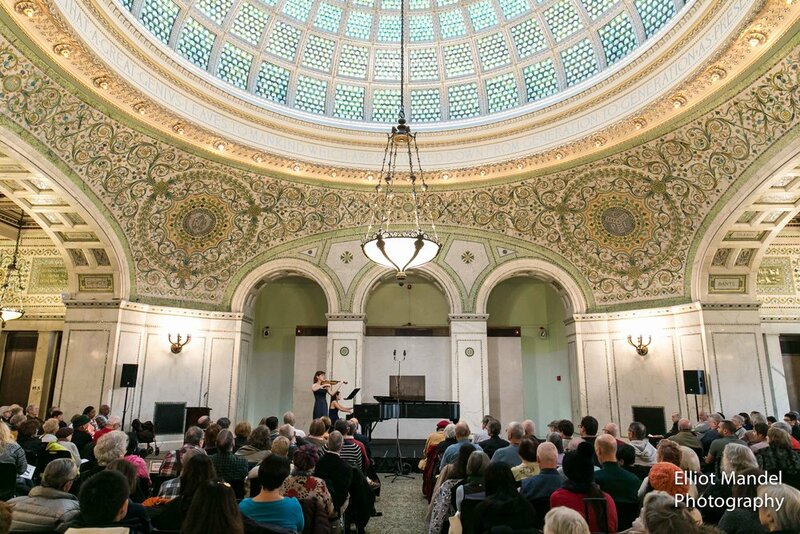 Kate Carter and Louise Chan perform on the Dame Myra Hess series at the Chicago Cultural Center. 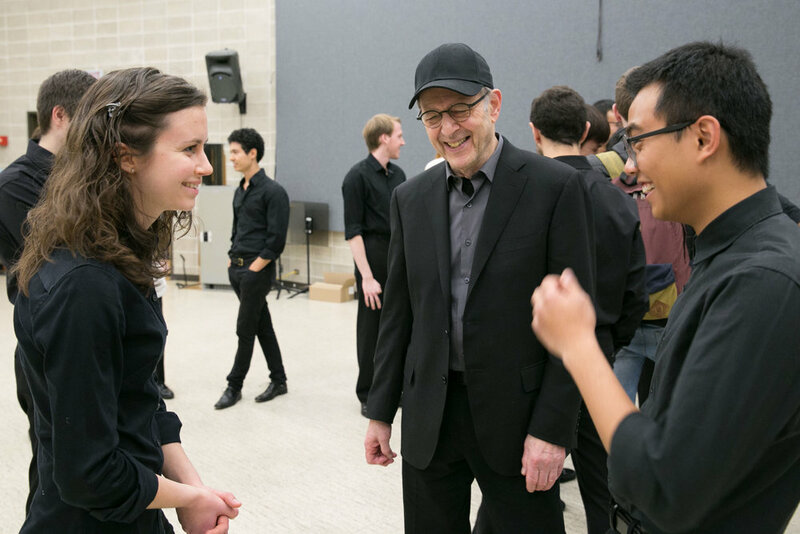 Steve Reich backstage with percussionists at Northwestern University. Steve Reich takes a bow with percussion ensembles at Northwestern University.